It’s hard to assess whether Futarmal Vaishnav makes a worthy borrower. The 62-year-old runs a stall selling daal vadas outside a vegetable market in Vasna, Ahmedabad. He’s assisted by his son and says he makes Rs 1,500 a day after expenses. With his one bank account, he is just inside the formal banking system. But he’s never paid tax and he has no credit history. In short, he’s among the riskiest customers for any bank. In fact, for all practical purposes Vaishnav would find it impossible to get a loan to buy a house or to renovate his shop at the interest rates you and I pay. Banks shun these customers in turn, making them prime targets for moneylenders and loan sharks. It’s also something the markets agree with. GRUH has seen its stock rise more then five times in the last five years. The company has a loan book of Rs 5,000 crore—by far the largest in the business—and its non performing assets are at 0.52 percent. In the last year alone the stock has doubled to Rs 220. Investors point to the company’s pedigree—it is a subsidiary of blue-chip housing finance company HDFC—when they explain why they continue to have faith in its business model. Time and again they speak about the integrity of its management. Sure, GRUH charges a slightly higher rate from these borrowers. But at just up to 2 percent higher based on his or her risk profile, borrowers are more than happy to pay this. So what makes this business tick? And is the model easily replicable? GRUH was set up in 1988. HDFC’s founder, the late HD Parekh, believed that there was a need for an institution to go to smaller towns and villages where the credit economy operates in a largely informal manner. In its initial years GRUH worked in towns with a population of less than 50,000. While HDFC was present only in Ahmedabad, GRUH went to Rajkot and Surat. But the company realised that in rural areas a house was not a priority for borrowers. This was unlike a city where housing is among the first large purchases a family takes a loan for. In villages most people had some sort of housing and needed loans for seeds, fertilizers and other farming activities. With this learning the company quickly shifted focus to urban areas and began to work on a niche where it financed the first homes for low-income borrowers. Those were also the days when the business was highly regulated by the National Housing Bank. It stipulated the rate at which housing companies could borrow and the rate at which they could lend. Between the two the spread was only 0.75 percent and it was very hard for companies like GRUH to make money. GRUH, which was listed in 1992, also lent to developers so as to show returns to shareholders. But the real estate crash of 1998 hit the company hard. With its investments underwater, a large chunk of the loan book had to be reconstituted. With a management change, the company started its new journey. GRUH’s present model is the brainchild of Sudhin Choksey, the company’s managing director. The shy, down-to-earth banker shuns the limelight and is rarely seen giving interviews. In 2000, he realised that with the country rapidly urbanising, there was a mass of people who had come to cities, who worked in informal jobs and needed to buy loans. “The integrity and character of people has nothing to do with income levels,” he says. With that basic tenet he got the board to approve lending a small amount, initially Rs 2 crore, to people without formal income documentation. It took the company the next five years to work out a model to assess credit worthiness of borrowers. The technique is intensive and involves working with individual borrowers to understand their income patterns and then working out their ability to pay. Each borrower has a lengthy file that notes information on him. Let’s take the case of Vaishnav. His stall sells bhajjiyas and puushak. Both sell for Rs 10 and, on an average, he sells 150 puushak and 50 bhajjiyas, earning him Rs 2,000 a day. He has two workers who are paid Rs 80 a day each and he spends Rs 300 a day on ingredients, leaving him with a profit of Rs 1,540. The stall does business five days a week, generating a monthly income of about Rs 30,000 for the father-son duo. Information like this is gathered individually for each borrower by a loan officer. Next come interviews with his neighbours, a copy of his bank statement, educational records and so on. Each file contains over a 100 pages of documentation, complete with photographs. Once this is complete, the company determines the loan. What helps GRUH is its decade worth of experience in dealing with such buyers. It knows how much a taxi driver would make. So, if a taxi driver says he owns the taxi, GRUH can check prior loans to see if what he makes sounds accurate. If he doesn’t own but rents the taxi, his salary is different. Different weightages are given in each case. The value of the taxi permit is also counted. Similarly, in the case of one dhobi a loan officer was told by a customer that the dhobi hadn’t lost his clothes even once in 20 years. That earned a favourable rating on the credit report. As the company grew, Choksey realised that lending to borrowers in the informal economy would get tricky if the loan assessment was left to individual officers. It was imperative that he standardise procedures and yet keep enough flexibility in the system to account for individual borrower quirks. “A lot of big banks don’t have adequate risk assessment tools for self employed individuals and people living in rural areas,” says Sanjeev Arora, a US-based physician who started investing in the company a decade ago. He is the company’s fourth largest shareholder. In an era before most Indians had even heard about ‘credit score’, GRUH came up with its own assessment system. Today, once a borrower’s income details have been verified, all data is put in a software that looks at 23 parameters to determine eligibility. It’s a home-grown system that has been refined over the years, according to Suresh Iyer, general manager, operations at GRUH. Officers put in details of whether the person files IT returns, if he has a guarantor, if he smokes, if he has a history of family illnesses, if he has insurance and so on. Once this is recorded, the computer puts out an interest rate at which he can be lent money and no one in the company is allowed to change that rate. It was with this step that Choksey eliminated any scope to tamper with the system. Another hallmark of GRUH is its conservative approach to growing its balance sheet. In a business like this there’s no point expanding fast and then falling flat on your face—that’s the belief within the company. The company which has done well in Gujarat and is present in large parts of Maharashtra, is slowly expanding nationally. It recently entered Tamil Nadu. “We will aim at a growth of about 30 percent every year,” says Keki Mistry, chairman of GRUH Finance. This, coming at a time when the company has understood the business and has the potential to grow a lot faster, outlines the conservatism of the company and its philosophy of growing the loan book cautiously. Also, at a time when the real estate market is on steroids and lenders are making loans for people buying second and third homes, GRUH continues to lend only to people looking for their first home. 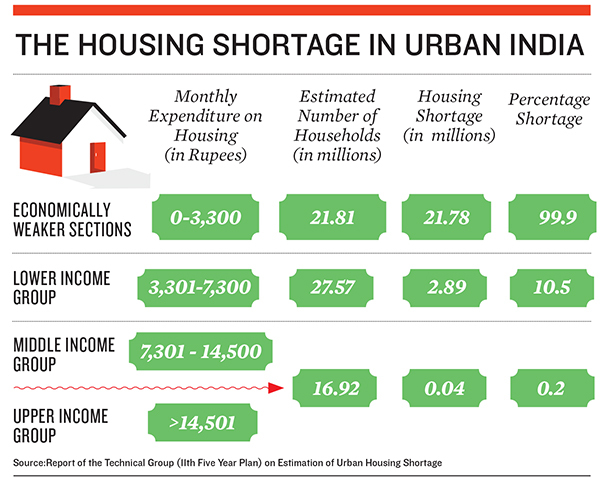 Its average loan size is Rs 7.53 lakh and the company puts up only 70 percent of the value of a home. Investors say this is what makes them comfortable with their asset quality. It is the only finance business in the country that provisions for every NPA at the end of every year and so its net profits are understated, says Hemant Amin, MD of Asiamin Capital. He’s an investor in the stock. Back in Vasna, Vaishav managed to get a loan for his first house. GRUH lent him Rs 4.5 lakh at a rate of 12.7 percent for a house worth Rs 7.83 lakh. His monthly instalment stands at Rs 5,177 for 20 years. Prevailing rates for a local money lending firm in Ahmedabad are 17 percent.